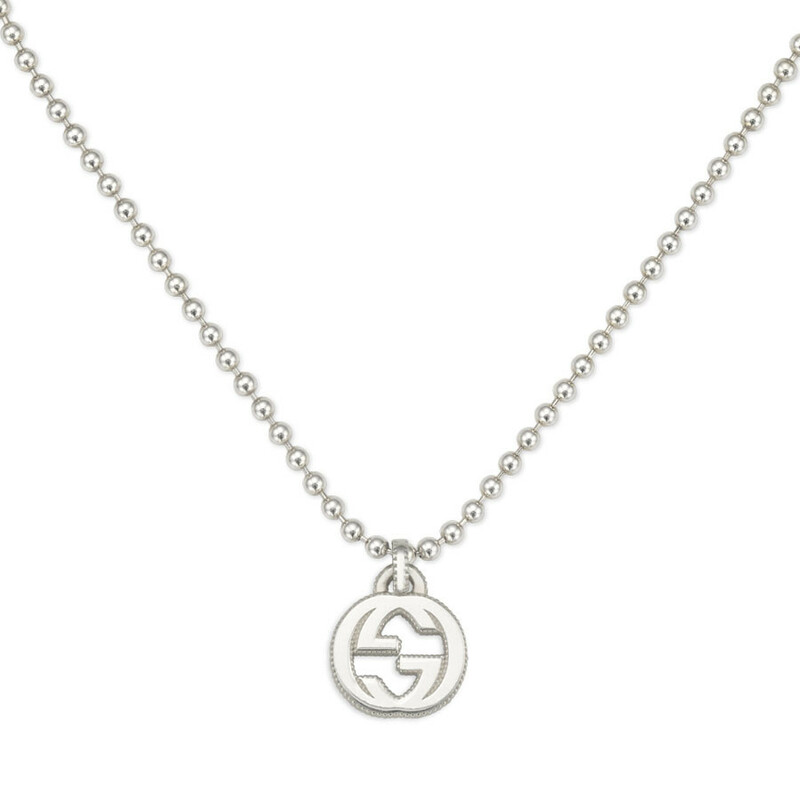 Be a style star with this necklace from Gucci's Interlocking G collection. The iconic symbol, crafted as a sterling silver pendant, has been designed with distinction, showcasing a textured outline that adds depth and dimension. It's supported by an adjustable precious metal boule chain. This Gucci necklace may be small in stature, but it's large in looks!